Developing a solid list of engaged email contacts is a critical component of any successful email marketing strategy. For most business owners, however, it also happens to be one of the most challenging. Thankfully, with the right tools and approach, growing your email list doesn’t have to be a burden anymore. That said, let’s take a look at seven creative ways to get more subscribers and start generating more valuable leads. First and foremost, if you want people to sign up for your email newsletters, you have to make it as easy as possible for them to do so. That includes adding sign-up forms and buttons everywhere you will be in contact with your target audience. And don’t forget about your emails themselves. If you’re sharing really great content, chances are your messages are being shared, so don’t miss out on the opportunity to gather more sign-ups that way as well. Hosting events that require people to sign up or purchase tickets ahead of time is a great way to gather contact information and stay in touch. In fact, you can include an email newsletter sign-up box right on the registration form, which makes it fast, easy and convenient for people to opt-in. Even if it’s as simple as a webinar, this is a great tool for staying connected and growing your list. In addition to hosting your own gatherings, attending events like tradeshows and conferences that are aligned with your industry is another great way to make quality connections, both with new prospects as well as other partnering businesses. Provide something of value in return. You’re probably already enticing visitors to sign up for your email newsletters with things like discounts and other exclusive email-only offers. Another effective way to gain more traction is to provide something immediate in return for sharing contact information, such as a free e-book, whitepaper or another downloadable resource. This type of instant gratification can be a very powerful motivator. Given the fact that 80 percent of Internet users today do their web surfing on a mobile device versus a traditional computer or laptop, it’s safe to say that mobile is where it’s at from a marketing perspective. To that end, you should be making it simple and convenient for new customers to join your email list using a mobile device, such as providing the option of joining via text. 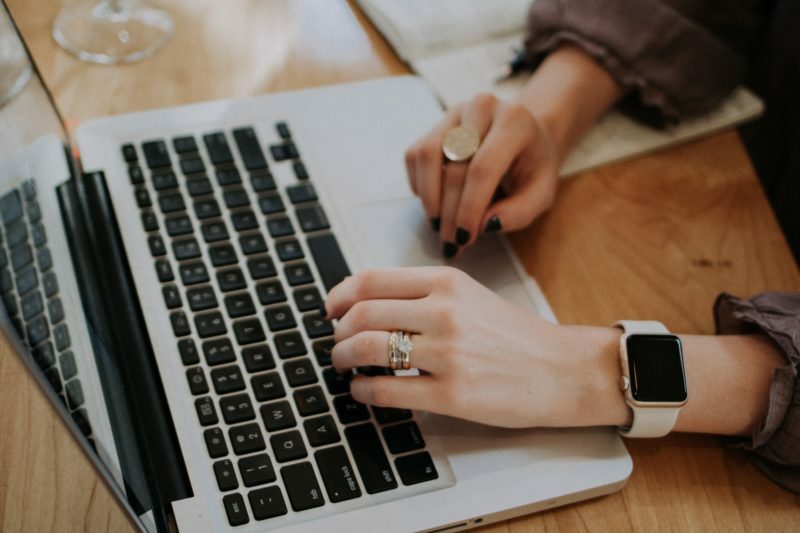 Social media is a great tool for connecting and growing your audience, but it’s also a powerful platform for encouraging fans and followers to sign up for your email list. For instance, Facebook offers the option of including sign-up forms, making it quick and easy for them to opt-in without having to leave the app. If you own a brick and mortar business, extending free Wi-Fi in exchange for contact info is a great way to grow your list. In order to connect, guests must enter their email address and “opt-in” to your emails. It’s easy and super effective. These are just a few of the many creative and sometimes out-of-the-box ways to grow your email list. Give one or two of them a try, measure the results and take it from there. You can also come up with some ideas of your own by thinking about how you interact with your customers and identifying areas of opportunity that you may not have tapped into yet. You might be surprised at what you come up with.